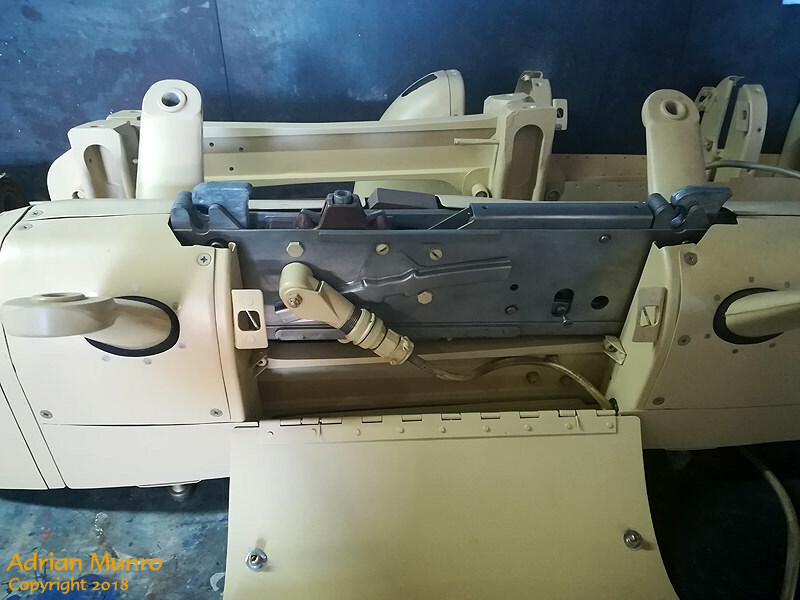 The Oxford is in the PE branch of the museum,undergoing restoration. The engines were started a couple of years ago and ran perfectly. When I last saw the Oxford it was painted yellow overall without any markings on it,could have been applied on by now. 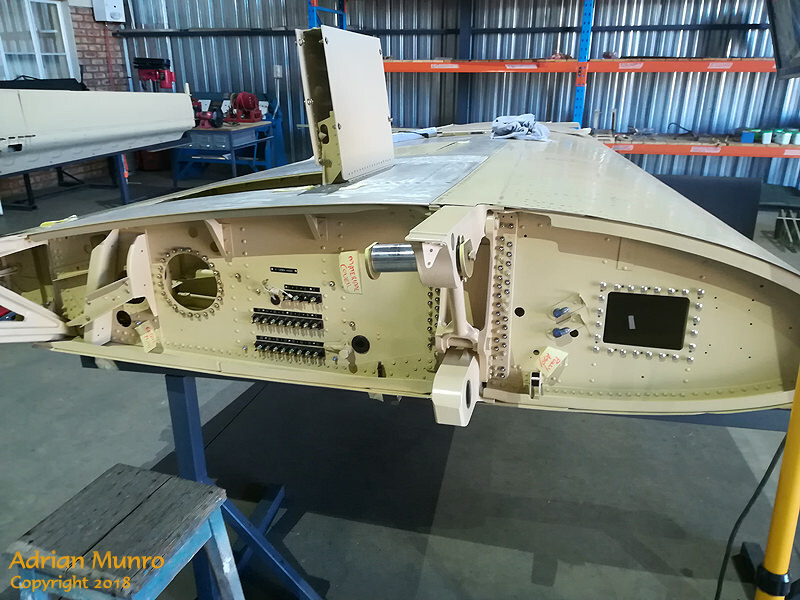 The Spad is at Zwartkops and was transferred there many years ago,forget when it was. It was a ex-Gabon aircraft. Not sure why the SAAF went to all the trouble to acquire it via a complicated commercial deal, but it is an interesting aircraft nevertheless. 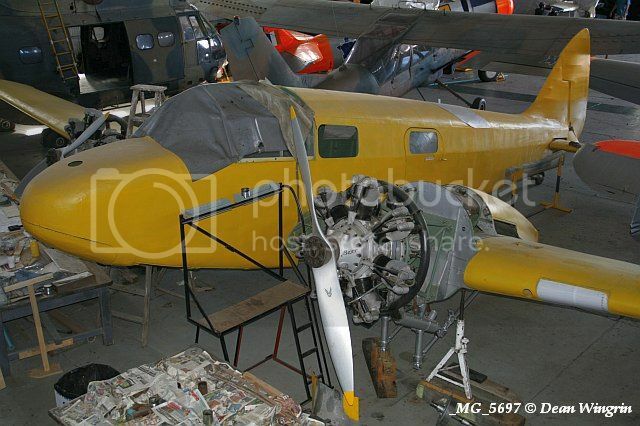 The Oxford in the restoration hanger at the SAAF Museum, PE Branch, in March this year. I came across some of my old photo prints today (they were previously posted before Photobucket blocked 3rd party postings). 1. 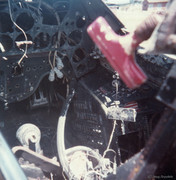 Where is the Skyraider now? 2. Where is the Hippo Refueller now? (I personally arranged for donation of this aircraft refueller to the SAAF Museum though Mobil Oil before Engen name). I seem to recall someone said it ended up at Thundercity, but if correct, why would the Museum have let it go? some more info on it..being an aircraft researcher as my real job it helps. - Not delivered, stored in France, 1877-1985. Thanks Adrian....it really has hung around then for a few decades. Appreciate the info & update. 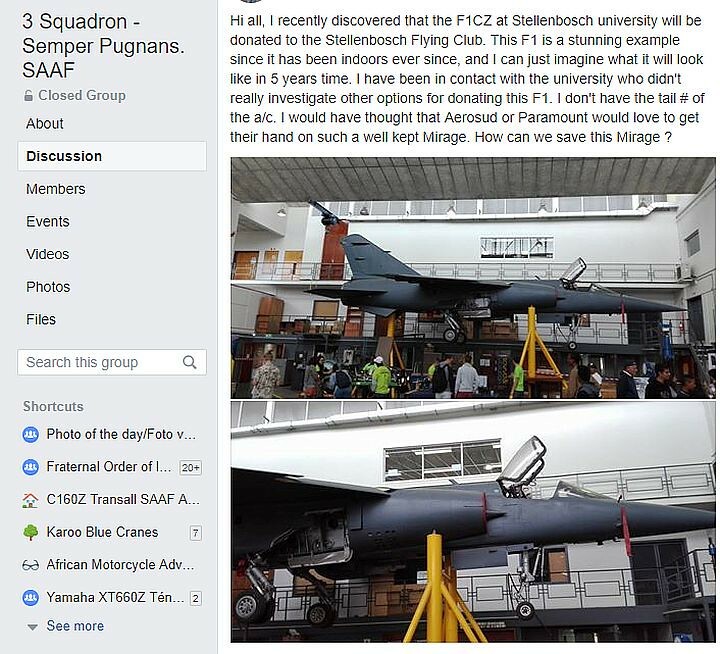 That's odd, why would Stellenbosch University want to get rid of their F-1? Pretoria University did a similar thing with their F-1 but instead mounted it outside on a on pole. I would have thought an actual Jet fighter air-frame would be a invaluable teaching aide for engineering students? I have no idea why. I was shocked when I heard the news. She is not really used, nor is she in the way really. She is well kept and could be used in a practical manner but alas, good clear thinking does not always persist. I have contacted the Department head in assisting with her moving but seems it is only happening later in the year. Will hopefully be able to get a few snap shots of the process. Till then my plan is to take a big lunch box and carry her away one piece at a time. I chatted to the guys at the Stellenbosch Flying Club last year when I went to inspect their Vampire and they plan to build an indoor display for it. 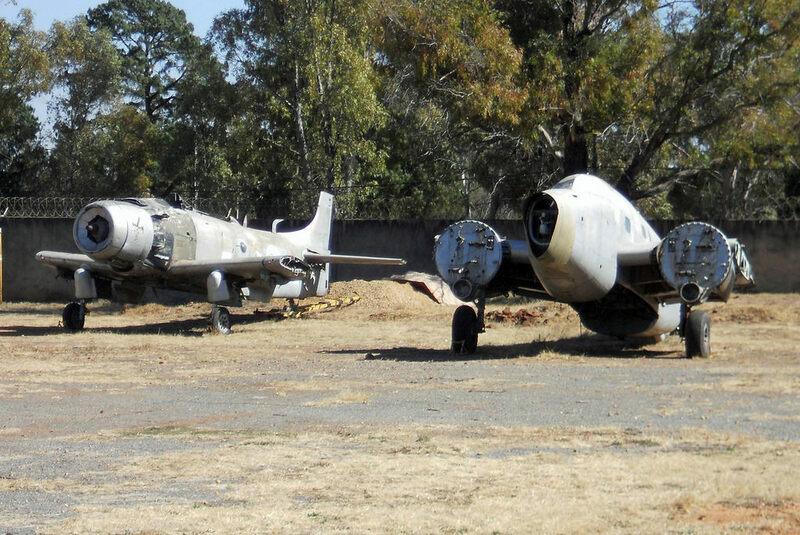 The SAAF Museum already has at least one F1 aircraft at each of the Museum branches. That's really good news, no doubt the Stellenbosch Flying Club would take good care of the her. Are there plans to move the Vampire indoors as well? They might move that indoors as well. But unlike the Vampire, which still belongs to the SAAF Museum, the Mirage will be theirs. Any Canberra aircraft on display, quite sure none flying anymore? Canberra B2 457 is on static display at Swartkop. 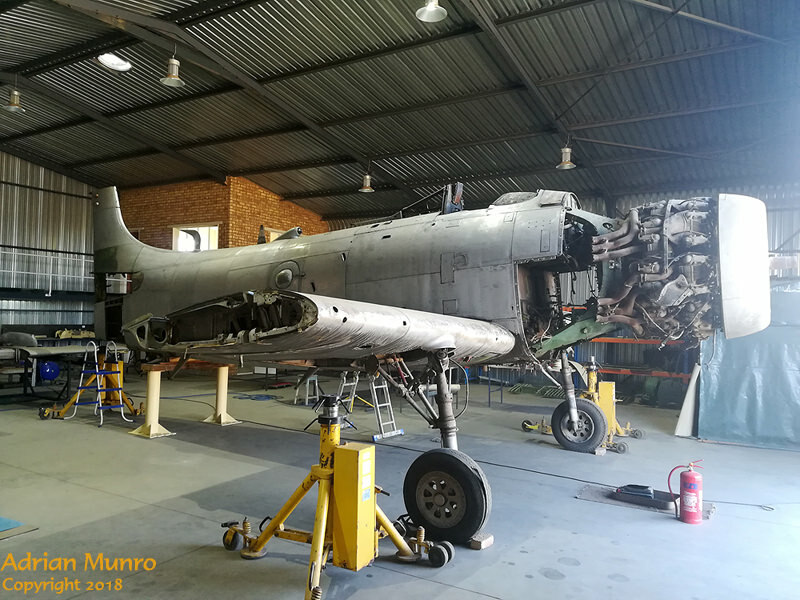 I found the Skyraider being restored at Brakpan airfield over the weekend,while attending a Cessna gathering,The restorer told me estimated 5-7 years still left to get her to full flying condition.The engine will come from America,as the current one is beyond repair.Mostly all the parts are being made from scratch,the wings and control surfaces are all in progress now. Last edited by Airfire on 18 Jun 2018, 16:47, edited 1 time in total.